Saving websites on deskhot takes only a click! That's right, fire and forget. 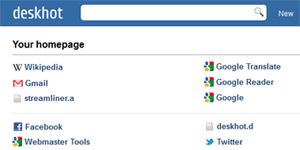 Instant search makes finding bookmarks a snap. Oh, and pages in deskhot load in just a couple of seconds. 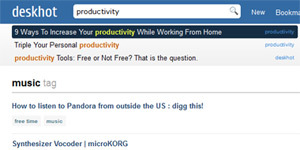 Import your bookmarks from delicious or your browser in less than two minutes. Deskhot is the best tool of it's kind I've seen so far. A really practical way to ensure all your favorite sites will be accessible from wherever you are. 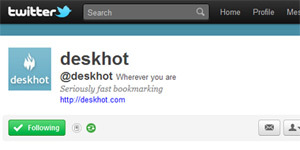 Deskhot is already a home for over 120,000 bookmarks. 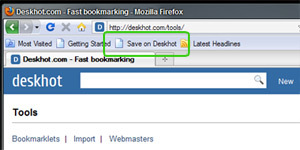 Use the saving buttons on any browser to save bookmarks in a snap.